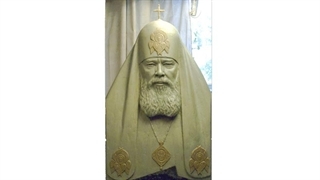 A 40,000-euro bronze sculpture of Patriarch Alexius II will be erected in September in front of the new Russian Orthodox Church being built in Lasnamäe. The Lasnamäe district government announced Tuesday that the finishing touches are being made to a plaster mold in which the bronze sculpture will be cast. The funds to build the sculpture will come from the city’s budget. 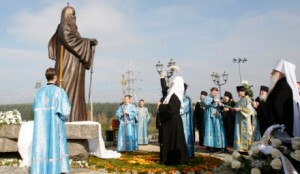 Lasnamäe district elder Olga Ivanova said the sculpture will be an important symbol for all of Estonia. “Alexius II was born in Tallinn and his name and activities have through the years had many ties with Estonia. The opening of a memorial in dedication to Alexius II is a gesture of respect to a great man on our behalf,” she said in a statement. 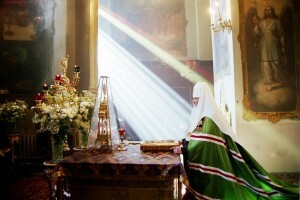 With the secular name Alexey Mikhailovich Ridiger, Alexius II (1929-2008) was elected the 15th Patriarch of Moscow 18 months prior to the fall of the Soviet Union, becoming the first Russian Patriarch of the post-Soviet period.